With a nod to yesteryear, the design form of this natural wooden arch top wall mirror makes a fabulous addition to any living space. Dress up a modernized traditional space with the storied form of this arch top mirror from Cooper Classics. 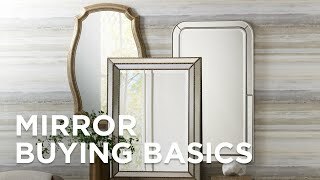 Reflecting a popular theme, its tasteful natural wooden finish and antiqued mirror panels deliver softness and versatility for coordinating with surrounding decor. Be expressive and stylish with this natural wooden arch top wall mirror. 35" wide x 53" high x 1 1/2" deep. Hang weight is 35 lbs. Glass only section is 31" wide x 46" high. Rectangular section is 31" wide x 32 1/2" high. Semicircle section is 30 3/4" wide x 13 1/2" high. Arch top wall mirror from the Cooper Classics Nicholson Mirror collection. Natural wooden finish with antiqued mirror. Firwood and MDF wood frame construction.